After opening speeches and a ribbon cutting, kids of all ages strapped on their helmets, got on their skateboards and tried out the facility. Alex Road Skatepark is the fifth and largest skate park the city has constructed. At 22,000 square feet, it is twice the size of other city skateparks. The all-cement skatepark features two deep bowls, a snakerun and a street skate area. Between its features are transition areas that allow skateboarders to skate continuously through the park. Alex Road Skatepark is the third cement skatepark the city constructed since it designed a citywide skate park system plan in 2006. “This park is part of a process that started in 2006, continuing on with our skatepark system in a decentralized park format, where essentially we’re trying to distribute these parks geographically throughout the city, close to neighborhoods and transportation points, where everybody can enjoy them,” Mertz said. The process started with building a temporary skatepark in the downtown beach area. The high use of the skatepark proved there was a need. The closure of the skatepark drove the city to address the demand. “It prompted us to seek out direction and look at park sites,” Mertz said. 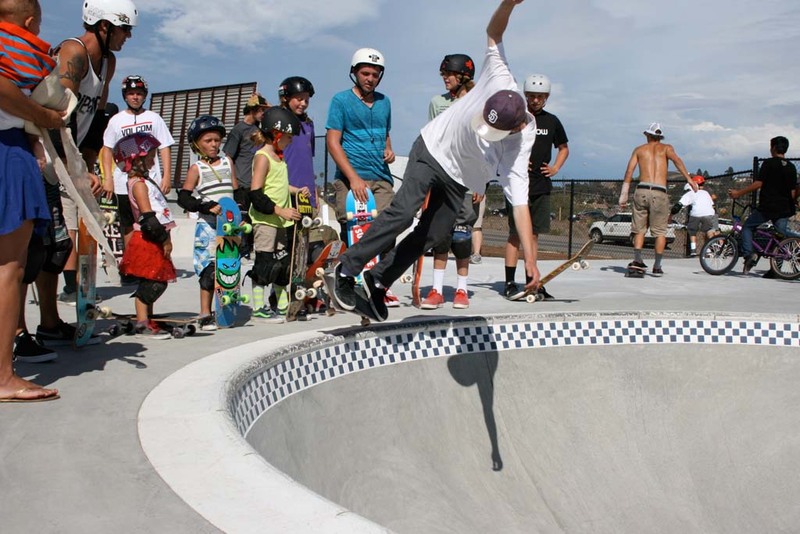 A plan to put several small- to medium-size skateparks throughout the city was decided on through a series of neighborhood meetings led by Parks and Recreation staff and attended by residents, and members of the city skatepark committee and Tony Hawk Foundation. Two small skateboard sites were developed in the John Landes and Libby Lake neighborhoods. The parks include a basic layout of small wood and steel ramps. Three distinct concrete skateparks were planned. Each cement skate park has unique features, which gives skateboarders the opportunity to skate at their neighborhood park, and travel across the city to experience a different park. “Rather than make all of them cater to everybody the city realized specializing those parks a little bit would give each park a unique appeal,” Vuckovich said. By 2009 two of the three cement skateparks were constructed. The Martin Luther King, Jr. Skatepark, located in the park by the same name, is a flow course with medium-size transitional elements. The flow course design attracts a mix of younger and older skaters. The Melba Bishop Skatepark, located in Melba Bishop Park, includes geometric street features. The street style course attracts younger, teen skaters. Both skateparks are heavily used and have proven to be good investments for the city. At the same time the first two cement skate parks were built, design plans were also drawn up for the Alex Road Skatepark, which is bowl heavy with pool-type terrain and some street features. The bowl course attracts older skaters in their 20s and 30s. The Alex Road Skatepark project sat idle until sufficient funds were raised for its $946,350 construction cost. Funds were secured through a $428,000 Land and Water Conservation Fund grant, $25,000 Tony Hawk Foundation grant, and city park development funds. California Skateparks of Upland constructed Alex Road Skatepark, which is located on Alex Road and Foussat Road next to the San Luis Rey River. 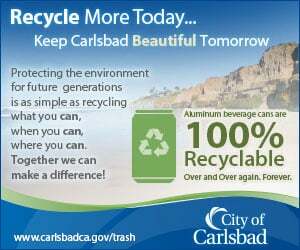 Future city plans are to renovate the skateboard sites in the John Landes and Libby Lake neighborhoods, construct an additional skatepark at El Corazon Park, and add a skateboarding site to the beach area.